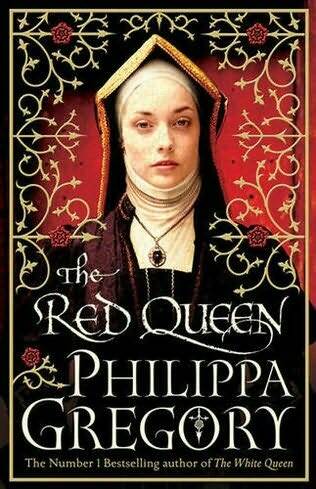 The Red Queen by Philippa Gregory is the second book in the Cousins' War series and follows on from my reading of The White Queen which completely swept me away a few weeks ago, earning the novel four stars here on Carpe Librum. The Red Queen of the title is Lady Margaret Beaufort, devout from a very young age she takes pride in her saints' knees, calluses on her knees from the hours spent in prayer on hard surfaces. Pious and determined to devote her life to God and be as influential as Joan of Arc, she is horrified when her Mother tells her that her lineage as descendant of Edward III and her being a girl means she has no choice but to be wedded and bedded, her sole duty to produce an heir for the throne. Her dreams of being an Abbess now destroyed, Lady Margaret marries Edmund Tudor and gives birth to Henry Tudor at the tender age of just thirteen. She is lucky to survive the birth at all; at one point the mid wives even toss her in a blanket ten times making her vomit. The birth is so hard on her little body she will never be with child again. The houses of Lancaster and York both fight for the throne and Lady Margaret plots for years to place her son Henry Tudor - in exile for most of his childhood - on the throne for the House of Lancaster against Elizabeth Woodville aka The White Queen and her King Edward IV and later against King Richard III and the sickly Queen Anne Neville. Lady Margaret is punished for a failed uprising and we experience her hopes, disappointments, plans for rebellion, secret alliances and historical events from the Red Queen's perspective this time; whereas in Gregory's previous novel The White Queen, we viewed this dangerous and exciting period in history through the eyes of Elizabeth Woodville. Lady Margaret Beaufort and Elizabeth Woodville were both powerful women in their own right although incredibly different from each other; Lady Margaret was pious and devout with a lineage directly from Edward III whilst Elizabeth Woodville was a commoner, a widower prior to marrying the King, a fertile woman of infinite beauty and reputed to be the daughter of a witch. I thought it would be difficult for an author to write a book and character that was at such odds with their previous heroine so to speak, nevertheless, Philippa Gregory was able to remain unbiassed and create two completely different voices, overlapping in time and place but without favouring one or the other. Quite a feat of writing actually. Historical fiction is my favourite genre and I'm excited to say that I've found my new favourite author in Philippa Gregory! The next in the Cousins' War series though is The Lady of the Rivers, which is the story of Elizabeth Woodville's mother Jacquetta. And after that she has a back catalogue of 20 books for me to choose from, phew! Do you have any recommendations?